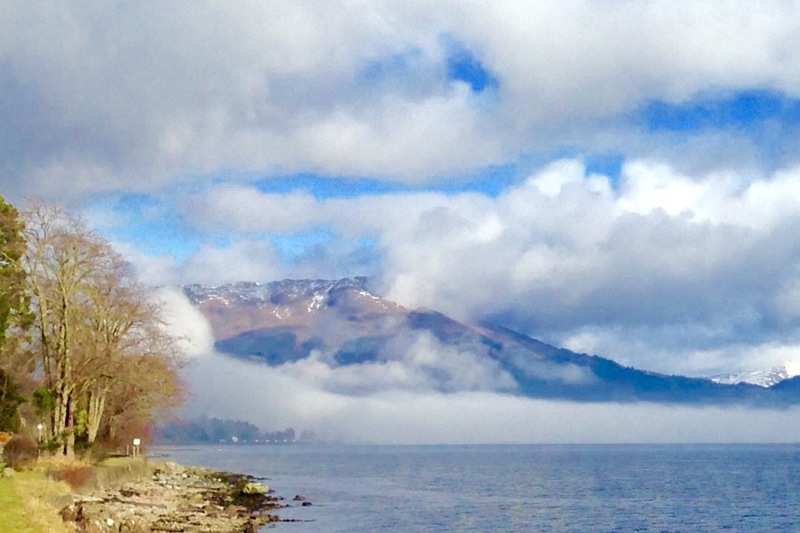 Published March 29, 2018 at 1077 × 718 in WALK 48 : SCOTLAND: FROM LOCHGILPHEAD TO LOCHGOILHEAD. Morning mist slowly clearing. Looking North up Loch Long from Blairmore Farm.